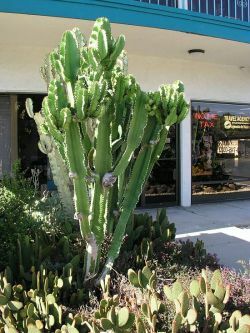 Comments: An vertically growing cacti native to South Africa and eastern Africa to the equator. No leaves to speak of, but the species continues to branch vertically to heights up to 60 feet. 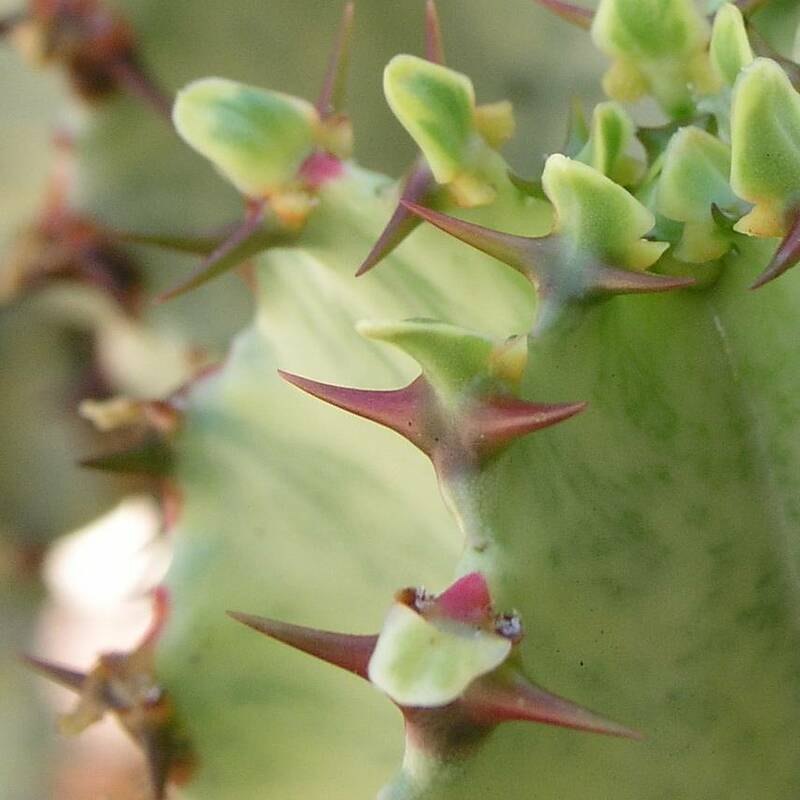 Distinctive spines grow along the outer edges of the branches. Sap from this plant is poisonous and caustic! Keep the sap off your skin and out of your eyes! This species is drought tolerant but cold sensitive. Adrian from Hayward identified this tree and said it was the largest seen north of Santa Barbara--unfortunately it was recently pruned and no longer has that distinction.